A vacant lot, rat-infested and filled with garbage, looked like no place for a garden. Especially to a neighborhood of strangers where no one seems to care. Until one day, a young girl clears a small space and digs into the hard-packed soil to plant her precious bean seeds. Suddenly, the soil holds promise: To Curtis, who believes he can win back Lateesha's heart with a harvest of tomatoes; to Virgil's dad, who sees a fortune to be made from growing lettuce; and even to Maricela, sixteen and pregnant, wishing she were dead. Thirteen very different voices -- old, young, Haitian, Hispanic, tough, haunted, and hopeful -- tell one amazing story about a garden that transforms a neighborhood. Sometimes, even in the middle of ugliness and neglect, a little bit of beauty will bloom. 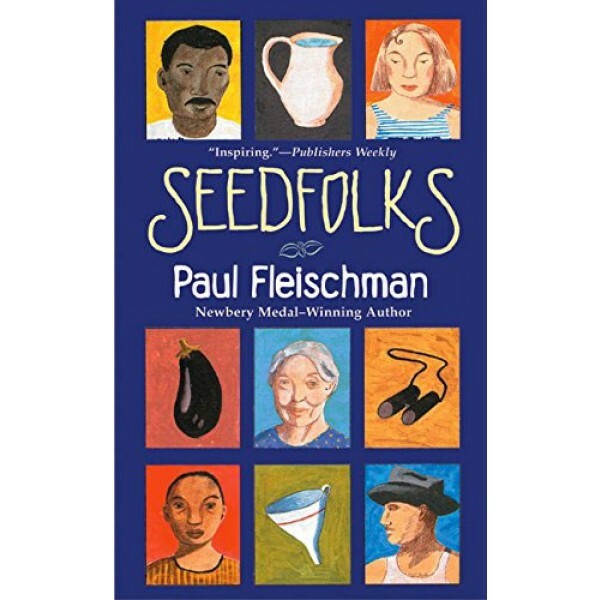 Award-winning writer Paul Fleischman dazzles us with this truth in Seedfolks--a slim novel that bursts with hope. 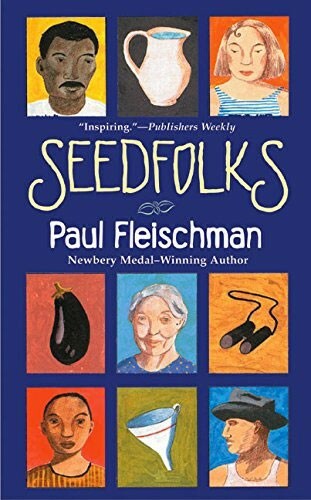 Wasting not a single word, Fleischman unfolds a story of a blighted neighborhood transformed when a young girl plants a few lima beans in an abandoned lot. Slowly, one by one, neighbors are touched and stirred to action as they see tendrils poke through the dirt. Hispanics, Haitians, Koreans, young, and old begin to turn the littered lot into a garden for the whole community. A gift for hearts of all ages, this gentle, timeless story will delight anyone in need of a sprig of inspiration.